The back garden awaits! 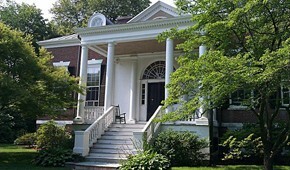 These informal and informational gatherings on Friday evenings in the summer feature a discussion or presentation by members and friends of the Athenæum. Conversations will be diverse—current topics include mountaineering, literature and storytelling. Keep cultural discourse alive and well in the 21st century!